Have you ever had to lift 100 feet of thick chain? If not I can assure you it is pretty heavy! 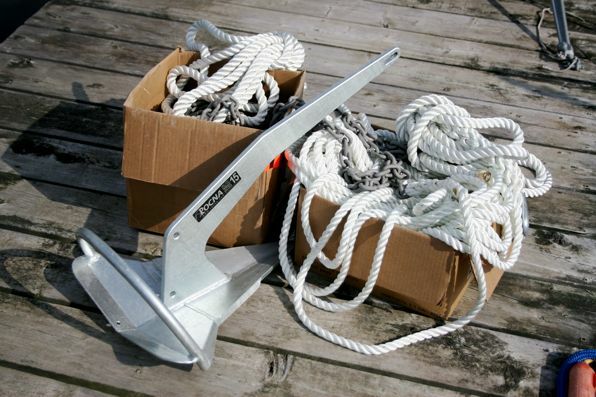 We received our new anchor, rode and bridle attachments this past Friday. 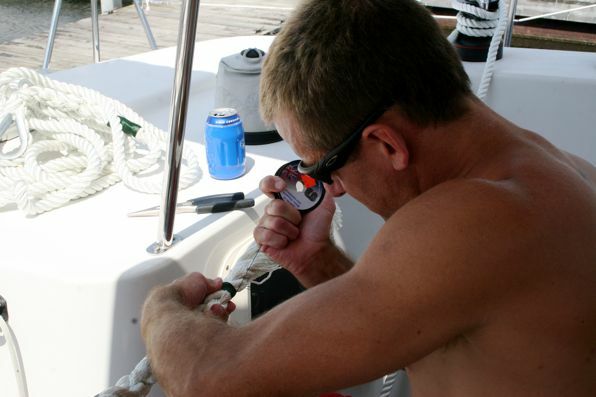 I had the owner of Pride Marine, where we purchased the new kit, splice the 100 feet of chain onto the 200 feet of line. Instead of jobbing it out I decided to put my newly-learned splicing skills into practice by preparing the bridle lines myself. We needed to make an eye splice on the end of each line and together with my friend Peter I did that Friday evening. On Saturday morning Rebecca and I put all the pieces together onboard Katana, but first we needed to whip each of the new splices. 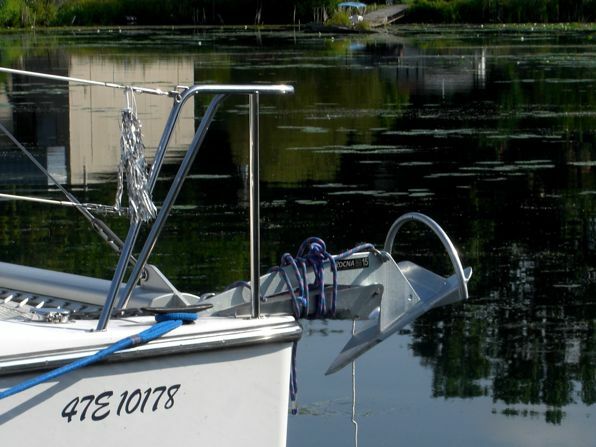 As we suspected, because the anchor is so pointy and our bow is so vertical, we will need to either purchase a new bow roller or have the current one modified. We are leaning towards the latter option to both save some money, and make a custom assembly which will perfectly match the Rocna and our boat’s bow. Just started reading you blog…..good stuff. My wife and I did the same thing about 6 years ago, but for only 6 months. We are looking forward to getting back out there in a couple of years, this time for 5-10 years. We, like you guys, had zero sailing experience; we read everything we could get our hands on, learned to sail on our own, spent a glorious 6 months in the Exumas, met wonderful people (cruisers and locals alike), and can’t wait to get at it again. 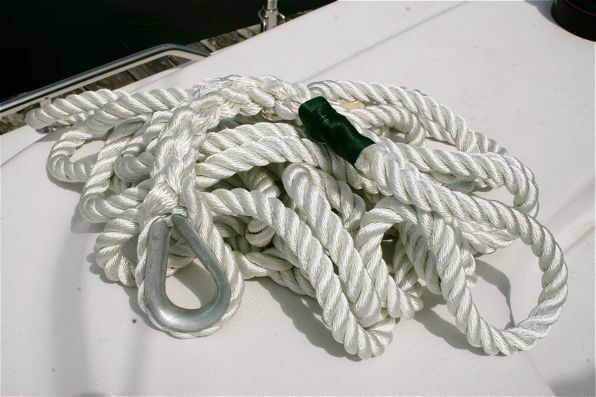 Great choice in anchors by the way; we LOVED our Rocna! We thought the Exumas were awesome. The beaches there can’t be beat. And yes, we love our Rocna too!